So I hosted a Game of Thrones party on Saturday. I think it went pretty well. 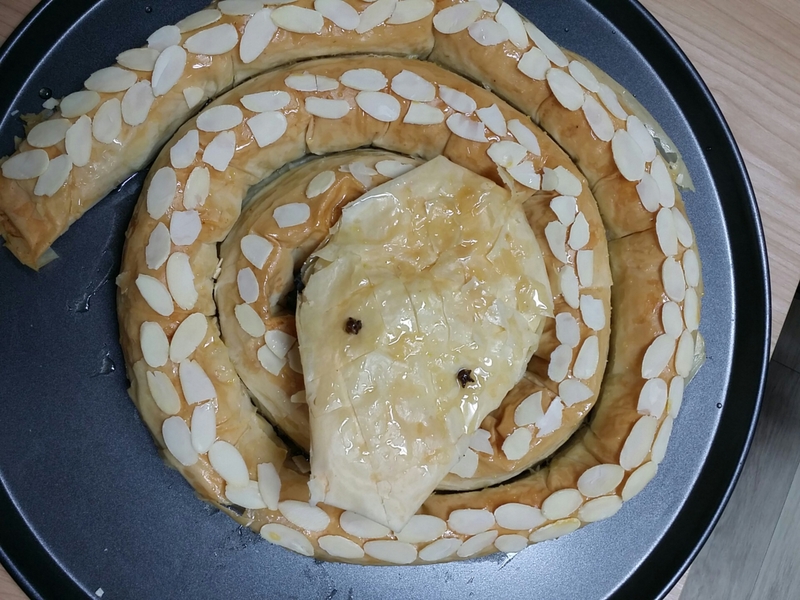 I made a baklava in the shape of a snake since the theme was Dorne. For extra ambiance I offered bread and salt to my guests while Rains of Castamere was playing in the background. The hardest thing about baklava is getting the filo pastry. I now have more filo pastry than anyone deserves because I had to buy twelve 375g packs as they were specially ordered in for me by the baking store in Daejeon and they would only order a caterer’s pack. Made in Australia, so there’s that. Anyone studying the Korean economy can tell you that when there is no demand for something (since the Korean market is a blue yet lifeless ocean for filo pastry) the best thing to do is to raise the price. This works wonders in Korea because many consumers here use pricing as a gauge for quality. Just go to any supermarket around Lunar New Year and Chuseok to see the price of fruit and cooking oil rise from expensive to stratospheric levels. When looking at two similar items, the item with the slightly higher price (though in some cases the item with the much higher price) is nearly always perceived as being of higher quality. This is erroneously known as the “Chivas Regal Effect”. The correct term is Status-Aspirational Pricing. Add Status-Aspirational Pricing to the rampant Conspicuous Consumption here and you have the perfect product: one people will spend money on to say they spent money on it even though they don’t really know what to do with it. I also made some dolmades but since grape leaves are impossible to find here I used blanched perilla leaves. They worked quite well, too. I added a little vinegar to the leaf before I rolled them for a little bit of a flavour kick. I blanched the leaves to make sure the taste and texture were different from the leaves used for samgyeopsal. In my mind texture is just as important as taste. The big surprise for me was the sekanjabin. This is a Persian drink made from a vinegar/water/sugar syrup (1 part syrup, 5 parts water). I thought it would fit the Dornish theme. I flavoured it with star anise and mint leaves.